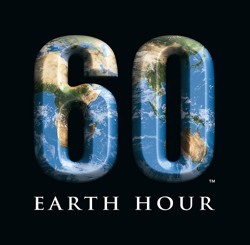 Started in Sydney, Australia in 2007, Earth Hour began when 2.2 million homes and businesses turned off their lights for one hour. Last year the movement grew, sending a global message of sustainability. Landmarks all over the world including the Golden Gate Bridge in San Francisco, Rome’s Colosseum, the Sydney Opera House and the Coca Cola billboard in Times Square all stood in darkness and solidarity for one hour.